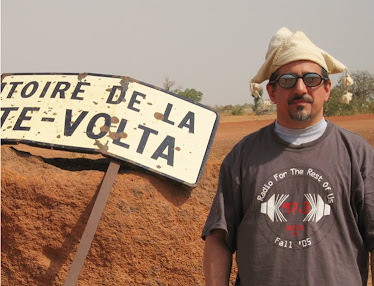 Highlife is a seminal style of West African popular music that got started way back in the late 19th century. The classic highlife combo is horn-driven, with guitar and drums in the rhythm section; American jazz, especially big band swing, became a major influence in the mid-20th century. Highlife is at the root of many of today’s popular regional styles: juju, Afrobeat, fuji and hiplife all spring directly from highlife. E.T. 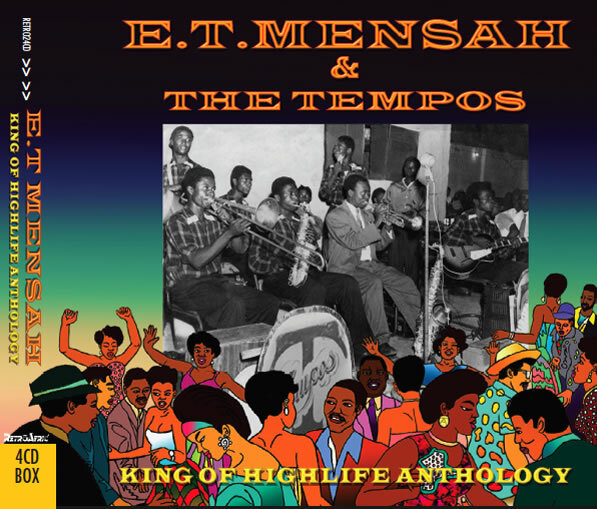 Mensah & The Tempos from Ghana are simply the quintessential mid-century highlife band; this four CD set includes all their hits from the 50s through the 70s (for example disc B, track 14 and D-18) among its 69 tracks, and the 64 page booklet puts Mensah and his genre in its full context. Highlife is musically omnivorous, so you hear influences from a variety of other styles like Trinidadian calypso (B-17 and D-16), Brazilian samba (B-12), South African marabi (D-14) and Afro-Cuban music (D-13). This excellent compilation will be a welcome addition to many African music libraries.